In previous careers, Nathan has been a designer, author, and blogger. 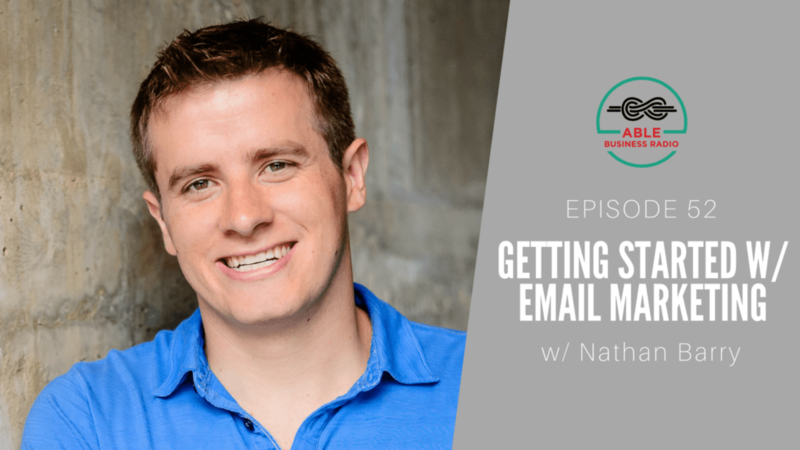 After learning the power of email marketing he gave up a successful blogging career to build ConvertKit. He’s come on the show to let us know how you can start using email for your service based business. Why starting an email newsletter isn’t a priority when starting out. What email you should write first to get more clients for your business. When you should consider writing your first automated email series. Where to find your first newsletter subscribers. How to demonstrate your expertise through teaching everything you know. ConvertKit Full Disclosure: I earn a commission if you click this link and make a purchase, at no additional cost to you. – Email marketing made easy. See demo here. Nathan’s Website: nathanbarry.com and convertkit.com Full Disclosure: I earn a commission if you click this link and make a purchase, at no additional cost to you.